Our approach to cooking is similar to my approach to life. Keep it simple, eat only fresh foods… Chef Mollie has been featured on the Oprah’s Show and in “O” magazine. National Geographic Passport to the Best has recognized Trattoria Mollie as one of the “Ten Best Destination & Special Restaurants in the World”. Had a birthday lunch here and ordered Mollie's pasta carbonara which wasn't on the lunch menu. They were happy to make it anyway, and it didn't disappoint. Probably THE best pasta carbonara in town. We had great service from our waiter. Thoroughly enjoyed my birthday lunch at Mollie's! Good cuisine and Grazie per dolce! Food was delicious and service fantastic! Always a treat! We are regular diners at Mollie's any are always impressed by the quality and great flavors in the food. If you haven't been, you are missing out. The food is outstanding! Portions are ample. Service and timing a bit rough, but improving. Wine was excellent, but more choice of Italian whites would be welcome. We will definitely be back to try more dishes. Mollie, the owner, is a true original and it is great to support someone who is hands on. 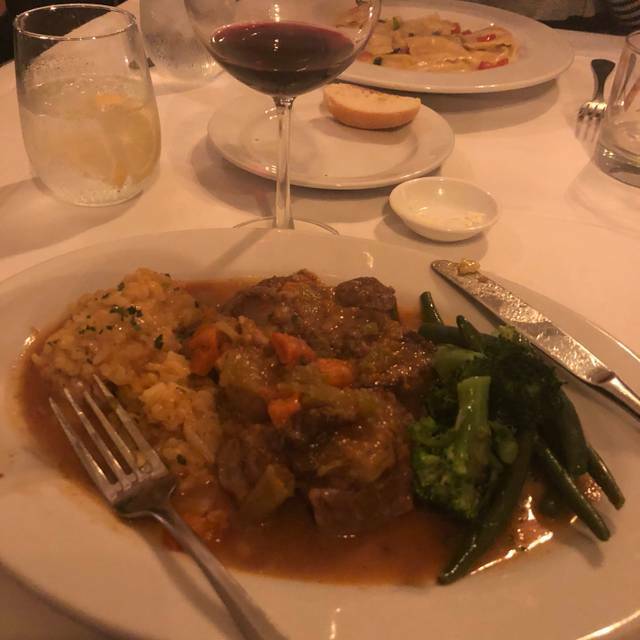 We have been customers since Trattoria Mollie was located in Monecito and were sad to hear that they had to close after the fires and mudslides. 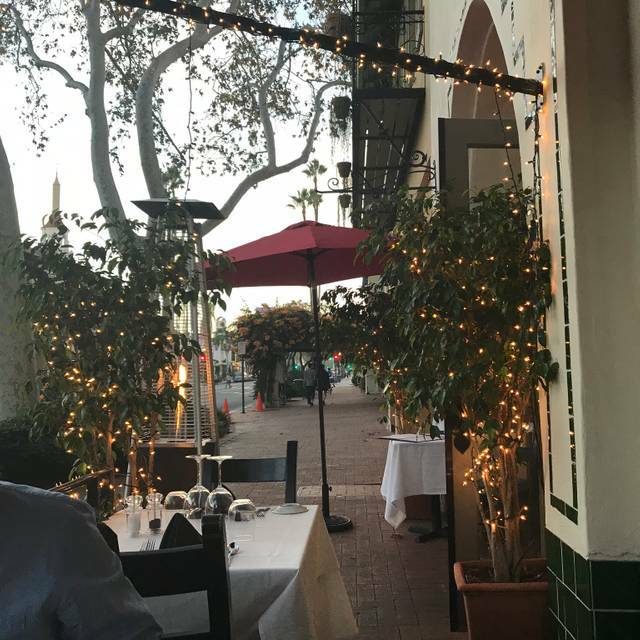 When we read that they had relocated in Santa Barbara we were so happy to be able to enjoy the amazing food and outstanding service again! The main thing that was disconcerting is the table was cleared as soon as our Forks were down and no one asked if there was anything else we would like to eat like dessert or have coffee. Then, I was surprised when the owner and Chef came out and she was bussing tables but did not take time to ask this how our meal nor visit while when she cleared a few remaining items from our table. I was too surprised to say anything. There may be other circumstances like short-staffed Etc but it was a surprise and uncomfortable. I would recommend Mollie for the food. The service was below average. It was the first time that I was at Mollie’s to eat. The server was very impatient with us ordering. He was not a good listener . I ordered a Caesar salad it came with my meal instead of before and it had no Parmesan cheese on top. 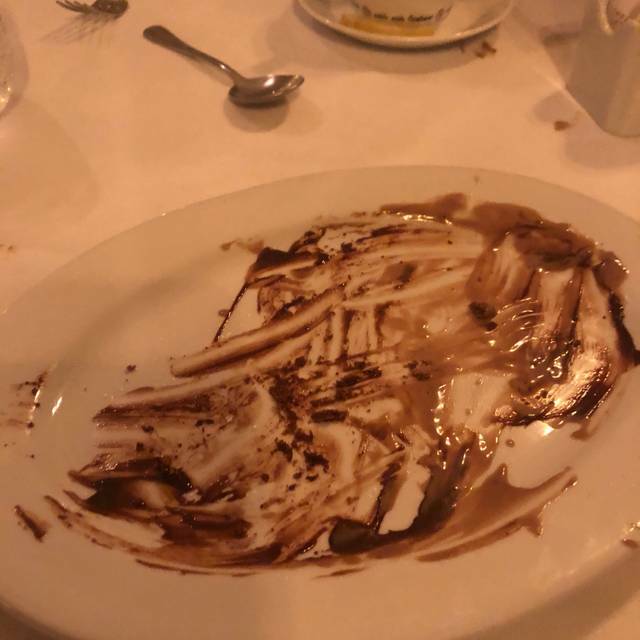 Then when I ordered dessert I asked for ice cream with chocolate sauce on top. They brought me my ice cream with no sauce. They said that they would go get it and by the time they brought it back my ice cream was melting. Great Italian restaurant next to the Granada. They even hold your boxed dinner so you can pick it up after the theater. We were party of 4 and one of the main dishes (Branzino) came out practically cold. Just barely warm. Not how a fish is to be served. However, very accommodating and charming Owner/hostess Mollie and our waitress was super efficient and did it all right. Food came w/o any delays and restaurant was at 90% full. It was our fifth visit, but our first at the new location on State Street. As always, the food was terrific. The branzino special was fanstastic. One of the best fish dishes we have had in recent years. Fine vegetables, great tiramisu. The waiter is a lovely person, very engaging. We go every time we're in Santa Barbara without fail. Dinner was lovely and the service was exceptional. Lovely staff. The only negative was the email I received from OpenTable telling me I should have canceled my reservation as I didn't show up. But I did show up. So being berated by Open Table for my bad manners was kind of unpleasant. Nice dinner with the fam. Food was delicious and the service was great too. Nice location on state street. Mollie's personal touch and the quality of wait staff are just the beginning. The food is delightfully authentic - right from a fresh farm, garden to kitchen to table. It is as if you are visiting Mollie's home! Best tasting Italian food I've ever had, and Mollie personally goes from table to table to insure that all are happy! Delicious as always! Bravo Mollie!! I would return but not if I really wanted a good conversational dinner with friends. The salads were very good but small for the price. The meatballs are excellent, but if you order them with vegetables- expect very few vegetables. Pizza's are good and are a generous serving. Mollie's house-made pasta was delicious. The affogato dessert was delightfully simple in execution but created a complex flavor experience I thoroughly enjoyed. It is nice to have Mollie's downtown. A pleasant, lively atmosphere before a concert at the Granada. The food is tasty--basically OK, but never really creative I'm afraid. I had salmon, and I felt that the tomato sauce buried the natural flavor of the fish. Incredible flavor. Most Italian sauce spends all day in a pot, cooking. Mollie makes all of her dishes fresh and her vegetables -- broccoli and potatoes -- are the best I have ever had! All the servers are mindful of your needs without hovering. we recommend Mollie's to all our friends - we LOVE her! They've moved to State St. from Montecito recently. I hadn't been there previously, but had heard nice things. Had a very nice dining experience. Food was very good. Servers pleasant and attentive. Nice attention to detail in the decor, design and ambiance. I have one small complaint. The staff were a little too quick to remove used plates, etc. Our conversation was constantly interrupted by staff asking to remove items. Don't get me wrong. I get very upset when they take a plate or glass of wine that's not finished. However, that also can be taken too far. Supposedly Italian but more like slop. Tried 2 "freshly made" pasta selections (meaning the pasta was made from scratch today). Couldn't tell they were freshly made and both were poor at best. The special broccoli appetizer was more like left-over vegetables in a stew with no taste and the bruschetta was uninspiring. We had tried Mollie's 8-10 years ago when it was in Montecito and never went back. We had heard that it was much better since it moved to State Steet in Santa Barbara 9 months ago, but that unfortunately was not our experience. At 7:30 on a Friday night about 15-20% of the tables were occupied while all the adjacent restaurants on State Street and Victoria Street were packed. Our neighbors are voting with their feet, as will we. Great food great stuff. Highly recommended. I will definitely go there again!!! I took my mother-in-law there for her birthday dinner with our whole family. She usually hates all her meals (eats only a few bites and then tries to give the rest of her food to everyone else) but not at Mollie’s. She LOVED her meal. I’ve never seen her eat her whole plate and refuse to share with her kids like she did last night. It was amazing. Then Mollie, herself, came out singing “happy birthday” with a dessert and candle! My mother-in-law felt so special. Mollie was so sweet. The ambiance was perfect and everyone loved their meal and the service. Could not have been a more perfect dinner! Wonderful birthday dinner. Wonderful food! Birthday dessert presented by Mollie herself. Such a gracious hostess! We will come back often! Always awesome. Thank you Molly and team! So convenient if going to the Granada! Loved it! Food was good and service was excellent! “Mollie wouldn’t like that”, looking back at the kitchen like they were terrified of someone, It didn’t feel right. Wont be back here. While the owner is gracious and displays photos near to the entrance there is one photo which is missing and that needs to be corrected. There needs to be a photo of Secretary Hillary Rodham Clinton. There were 2 in our party. We specifically asked for separate checks. We emphasized that and were given ONE check. We arrived a few minutes early for our 7:00PM reservation and were greeted by a snarly unpleasant woman at the door. Her attitude was we were bothering her by entering the doorway and were asked to "come back at your reservation time". I was just a little put off especially to find that when we returned, there was a large group standing inside the doorway waiting for a table. The "show crowd" had cleared out but even with a smaller crowd, our service was slow. The food was great as it had been on our first visit, but I'm a little concerned about the poor attitude of the greeter and service speed. Maybe the better plan is to reserve for a later table to let the staff regroup after the early show crowd rush? We do like Mollie's food so we will probably go back again. We loved our dinner at Mollie's! We look forward to going back! Excellent Italian food in a nice space with great service. Some of the best food around, Date Nught or Family Night this is an amazing choice. We brought friends for lunch and they loved it, as did we. Ravioli and capellini so so good. Mollie always comes to say hello! Her son us also opening a restaurant! Food is fantastic and reasonably priced. Mollie is wonderful and drips by the table to make sure everything’s OK. Fun spot that I will go back to!